Stylish short sleeves frock from the house of Zero. 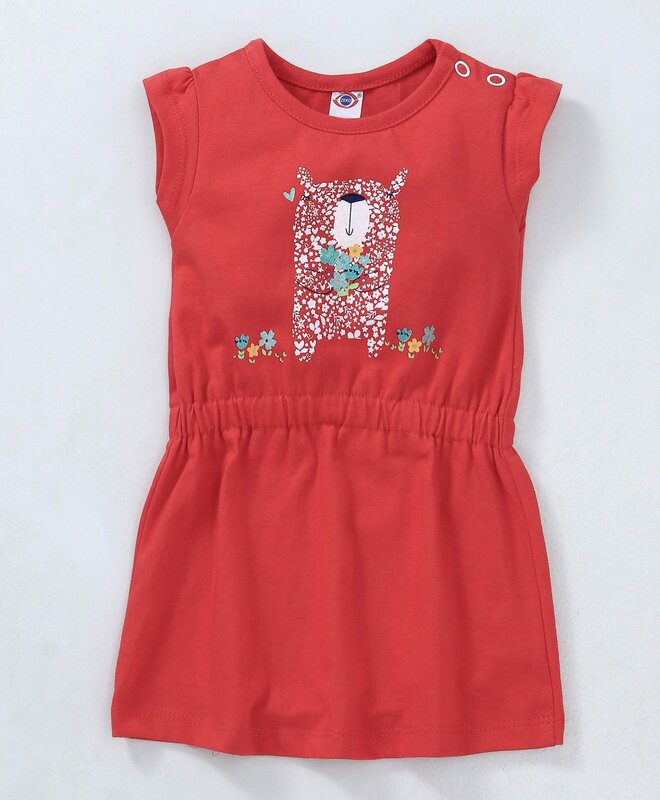 Trendy and cute bear print, gives this frock a stylish look. Round neck with shoulder button closure helps in easy dressing. Made from soft fabric, this regular-fit frock ensures optimum comfort to your darling daughter all day long.